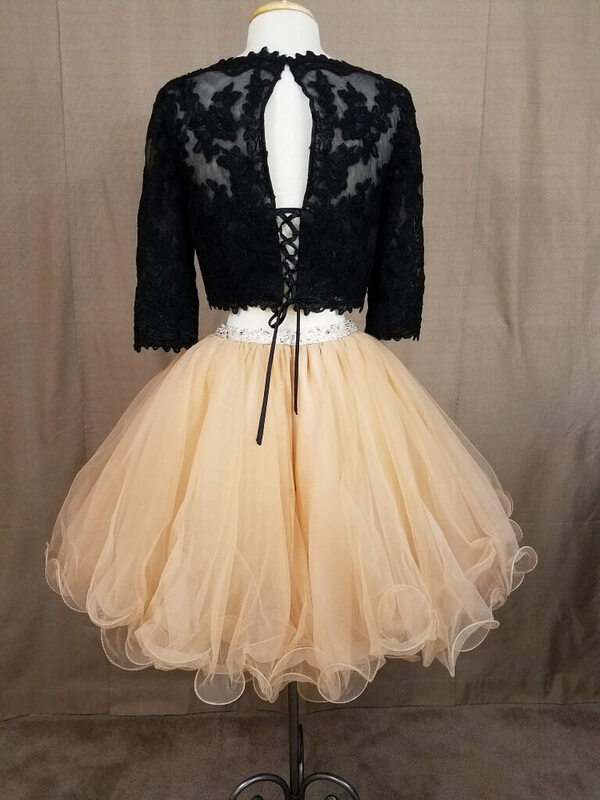 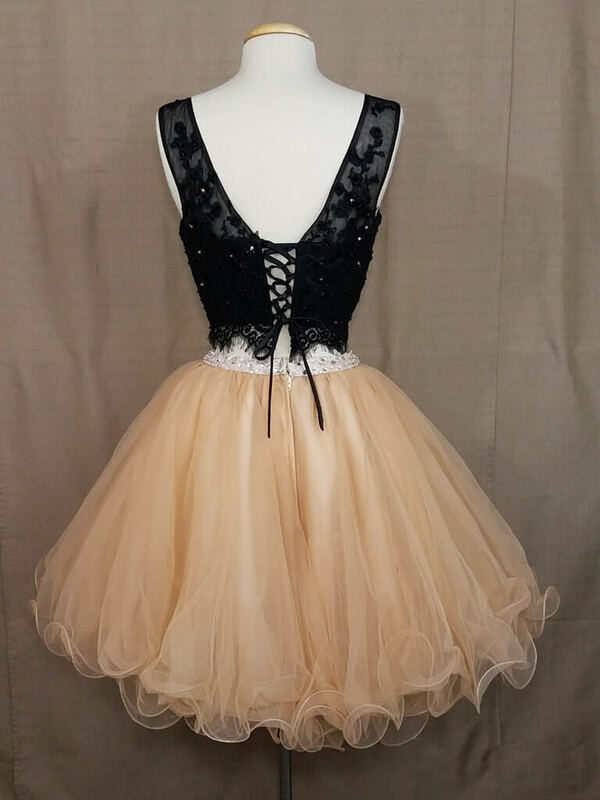 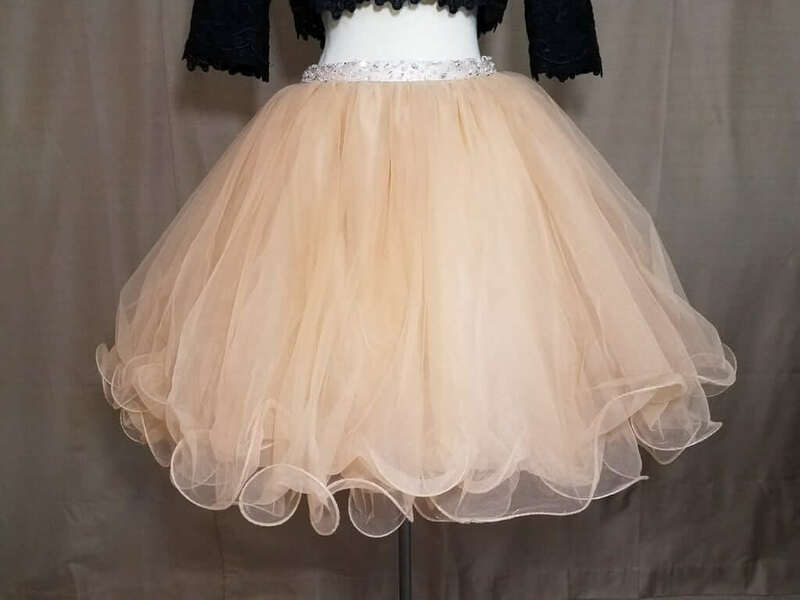 “Our short tulle skirt is part of our new line of separates for prom or bridesmaids, and features a rolled wire hemline, a hand-beaded rhinestone waist, approximately 4 layers of tulle with satin underneath, and fully lined, all in your favorite color. 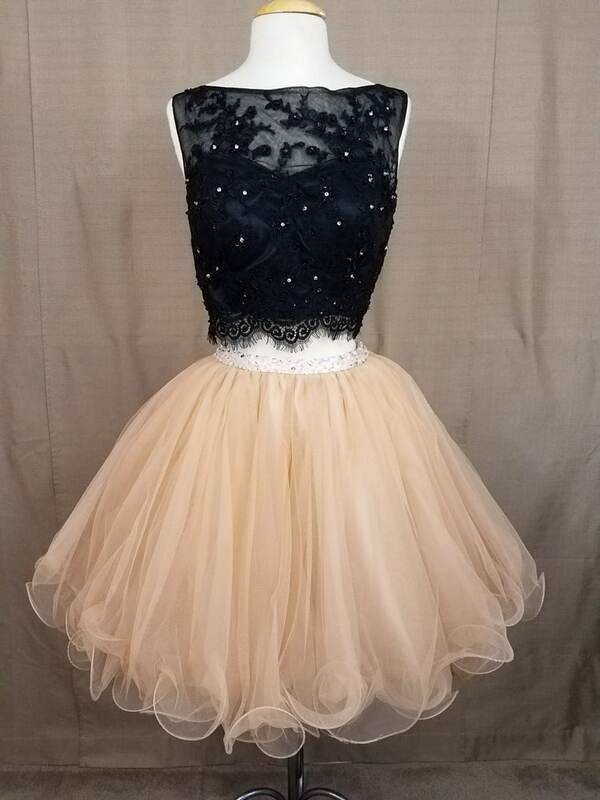 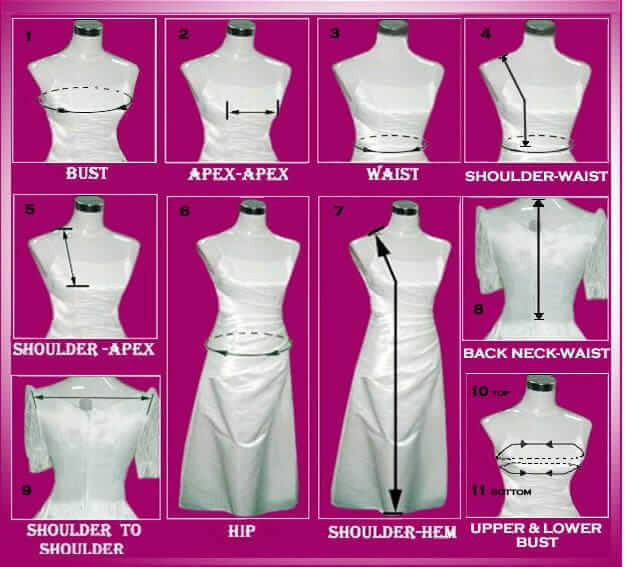 The tulle, satin, and lining colors will all match. 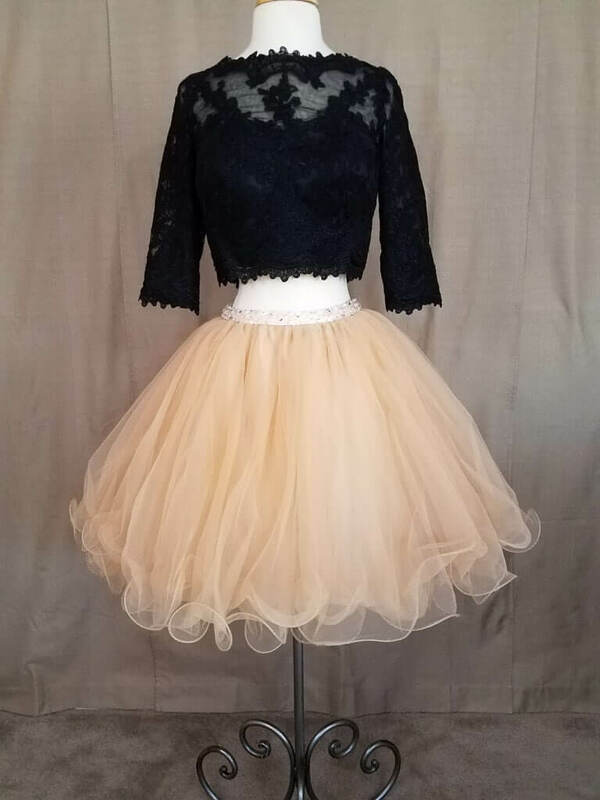 This skirt is approximately 20 inches from waist to hem and has a zip-up back and hook closure.